One of the best things about living in San Diego is that its warm and mild climate means you can grow just about anything here. Better yet, you can grow lots of things year-round. Now, spring and summertime are when most folks who have a penchant for gardening do their planting. Even if you have a not-so-green thumb, it never hurts to try and grow a tomato plant or two - it's a can't miss in this part of the country. For many of us these days, getting plants means heading to the local Home Depot to grab whatever plantings they happen to be pushing. Now, there's nothing wrong with buying plants at Home Depot - they're perfectly fine and I go there quite often. But there are lots of plants that do well in San Diego besides marigolds and petunias. That's when a trip to your local nursery is in order. Heading to your local neighborhood nursery and garden center is an eye-opening experience if you haven't been to one lately. These are the places to go to when you want to find an uncommon plant or even just a unique herb for your herb garden. Best of all, the employees at these nurseries are extremely helpful and know their stuff. If you have questions, these nurseries are the places to go. Here are a few of the best nurseries in San Diego County with an interesting selection of plants and supplies. Located in the Midway District near the Sports Arena, Walter Andersen has been in business for over 75 years, a venerable institution. With a fine, extensive selection of plants, you're likely to find what you're looking for. And if you can't, their extremely helpful and knowledgeable staff can help you figure out where to find it. Check out their selection of tropical plants and flowers. They also have a location in Poway. This cozy nursery is the epitome of the old-style neighborhood nursery, and it's San Diego's oldest (since 1910). Located in Mission Hills, one of San Diego's most beautiful old neighborhoods, Mission Hills Nursery is a great place to just look at plants. When you're done, stroll through the stately neighborhood. My guess is they've supplied the plants for the majority of the manicured yards in the neighborhood. If you love tuberous begonias, then Weidner's Gardens is the place to go. They also have other popular flowers including fuschias, hydrangeas, and impatiens, but begonias are their specialty. Take a walk through their greenhouses and just take in all the colors. Not exactly your neighborhood nursery, Evergreen Nursery has four locations and is San Diego's largest wholesale nursery open to the public. Whether you need a full-grown palm tree or dozens of shrubs, or some other large plant or tree, Evergreen is the place to go. It has smaller plants and flowers, too. Just drive your vehicle right on the lot and down the rows to pick up your plants. If any old-timers remember the local Nurseryland chain, then the Armstrong Garden Centers will probably seem familiar, since that's what they formerly were known as. The great thing about Armstrong Garden Center locations is that their grounds are nice and compact, with a wide variety of plant choices, yet never seems too overwhelming, like nurseries can sometimes get. There are locations all over San Diego Country -- find the closest location to you with the Armstrong Garden Centers store locator. Located off I-8 past El Cajon in Flinn Springs, this garden features workshops, classes, and other country-oriented gardening specialties. Summers Past Farms also specializes in plants that attract butterflies and hummingbirds. This nursery, located in Lemon Grove, has a large selection of roses and trees along with its large selection of bedding plants. Hunter's is a family-owned nursery and has been at its Lemon Grove/Spring Valley location forever with a knowledgeable staff. 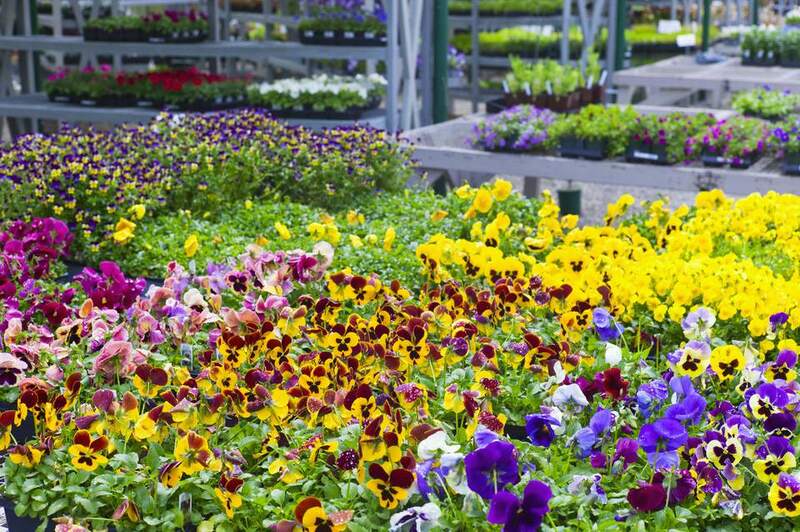 Village Nurseries caters to landscape contractors, retailers, and wholesalers, but the general public is welcome to its growing grounds, which sell a wide variety of plants. Village Nurseries has two locations in San Diego County and is a good place to find a variety of trees, ornamental grasses, as well as some not-so-common bedding plants.